Suzunari! Vol.1 Manga Review by John Zakrzewski has been posted on the Fandom Post site. Shoulder-a-Coffin Kuro Vol.1 Manga Review by John Zakrzewski has been posted on the Fandom Post site. 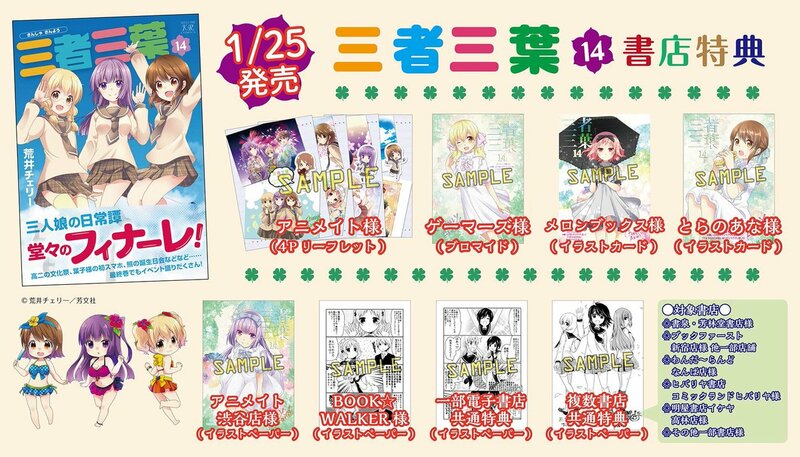 The final volume (Volume 14) of the Sansha San'yo 4-koma manga by Arai Cherry has been released, and I bought it at the flagship of Tora no Ana in Akibahara, and Tora no Ana's free gift attached to Volume 14 was a picture of Odagiri Futaba. Again I hope that manga publishing firms in the Anglosphere will get the licences for 4-koma manga by Arai Cherry. 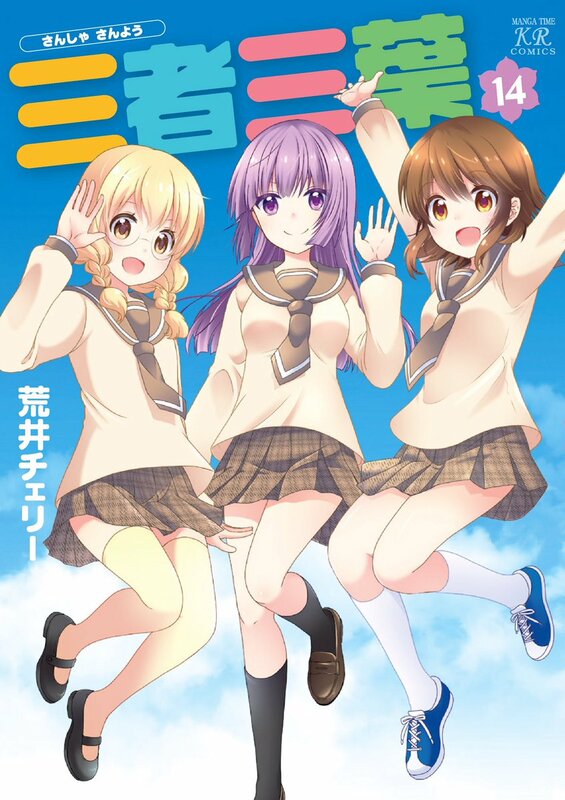 Volume 8 of the Yen Press edition of Kin'iro Mosaic is released on January 29, 2019. Seven Seas will release Volume 6 of New Game! on July 23, 2019. Seven Seas will release Volume 5 of Miss Kobayashi's Dragon Maid: Kanna's Daily Life on June 11, 2019. K-On! Vol.1 Manga Review by Matthew Warner has been posted on the Fandom Post site.